A timely novel about the radicalization of a Muslim teen in California--about where identity truly lies, and how we find it. Laguna Beach, California, 2011. Alireza Courdee, a 16-year-old straight-A student and chemistry whiz, takes his first hit of pot. In as long as it takes to inhale and exhale, he is transformed from the high-achieving son of Iranian immigrants into a happy-go-lucky stoner. He loses his virginity, takes up surfing, and sneaks away to all-night raves. For the first time, Reza--now Rez--feels like an American teen. Life is smooth; even lying to his strict parents comes easily. Laleh Khadivi is the author of The Age of Orphans, a Barnes & Noble Discover New Writers pick, and The Walking. She has been awarded a Whiting Award, a Pushcart Prize, and an NEA Literature Fellowship. She has also worked as a director, producer, and cinematographer of documentary films. Her debut film, 900 Women, aired on A&E and premiered at the Human Rights Watch Film Festival. Khadivi lives in Northern California and teaches at the University of San Francisco MFA. "Captivating . . . In scene after vibrant scene, [Khadivi] suggests the forces that turn individuals into radicals. 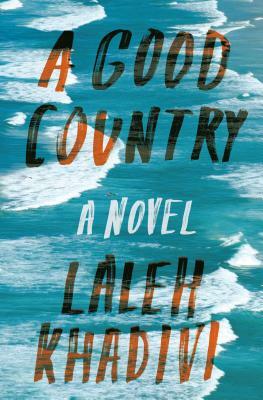 With A Good Country, she delivers an unusual and thought-provoking look at the process." - The Mercury News, "Books by the Bay"